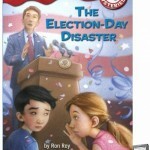 Political elections are tricky subjects for children’s fiction, and need to be written with a light hand. 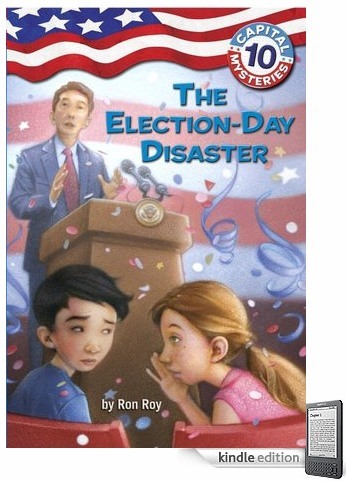 With the American 2012 Presidential Race now upon us, here are three recommendations for children’s adventure books which deal with election shenanigans. The links here are for Kindle ebooks, but paperbacks are also available – just follow the Paperback link from the product description page. I have to declare an interest – the third book in this list is mine. 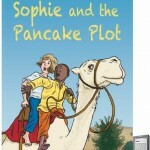 To my knowledge, Sophie and the Pancake Plot is the only election-themed children’s adventure story not set in the US. 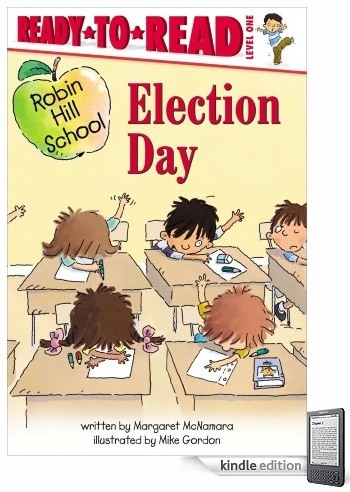 Please correct me in the comments section if this is not the case – or if you have written an election story for kids, feel free to plug it in the comments. 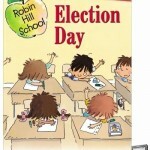 Today is election day in Mrs. Connor’s class. The students will listen to speeches and vote for a new class president. Today is also Becky’s first day at Robin Hill School. She thinks she would make a great class president, but she’s new and has no friends yet. When Becky takes a chance and makes a speech, the whole class is surprised by the winner! KC and her best friend wake up to a trick not a treat the morning after the White House Halloween costume party. With the presidential election only a week away, someone has posted damaging photos of the president on the Internet, photos that were digitally doctored! Will they ruin Thornton’s chances for a second term? Or can KC and Marshall rescue the election? Election day is just around the corner and Sophie’s best friend Gidaado is working for Presidential candidate General Crepe-Sombo. But Sophie discovers that the famous General is not at all the kind, peaceful man he pretends to be. To expose the villain before he becomes President, Sophie will need a dog whistle, a carnivorous plant and an albino camel as fast as the harmattan wind. This amazing two minute clip (now with English subtitles) was taken from an hour long recitation by West African minstrel Hassan Sango. Thanks to Hamma Tamboura for his help with the subtitles. 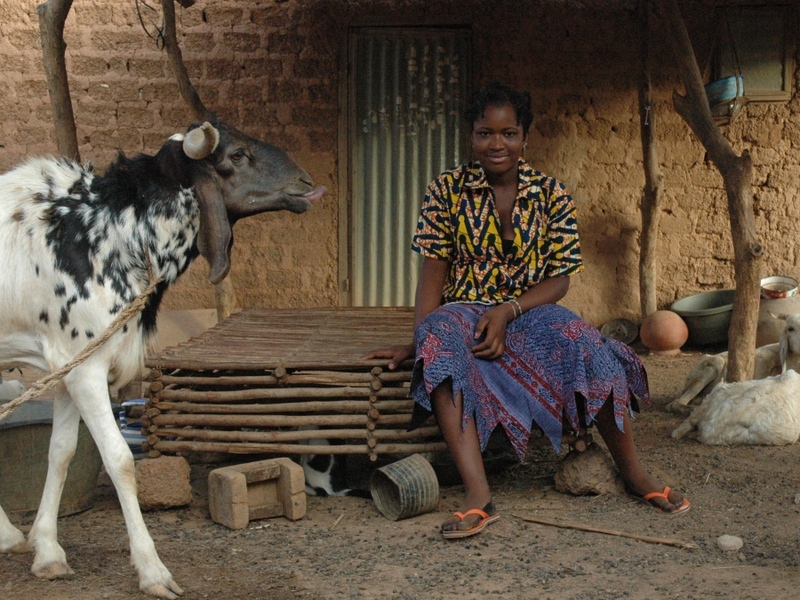 Fama is one of our neighbours here in Burkina Faso. She is eighteen and she makes a living from selling chobbal, which is porridge made from sour milk and millet. 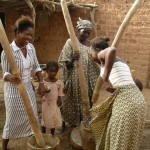 Every morning Fama gets up early and pounds millet in a wooden mortar until it is a fine flour. She mixes the flour with water and herbs and cooks it over a fire. When the millet is cooked she leaves it to cool and forms it into balls (about the size of pool balls). 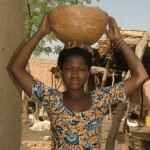 She puts these millet balls in a calabash (a bowl made from the calabash fruit) and takes them from door to door. Each ball costs 50 African francs – that’s about 7 pence (10 cents). To make the chobbal, she simply mixes the millet balls with milk. She says it tastes better if you use yesterday’s milk rather than today’s. Chobbal is delicious but it has a reputation for making you go to sleep. So don’t eat it at lunchtime if you’re working in the field or herding cows in the countryside. 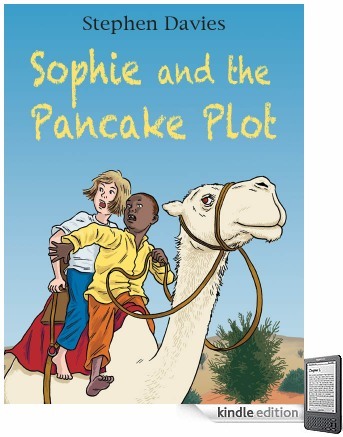 I chose Chobbal as the name of the camel in Sophie and the Albino Camel. Like an albino camel, chobbal is an off-white colour – and very smelly!